Guaranteed not to leak and are puncture-resistant under normal use. 3M's gel technology creates a wrist rest that is firm enough to provide the support you need, but soft enough for optimal comfort. 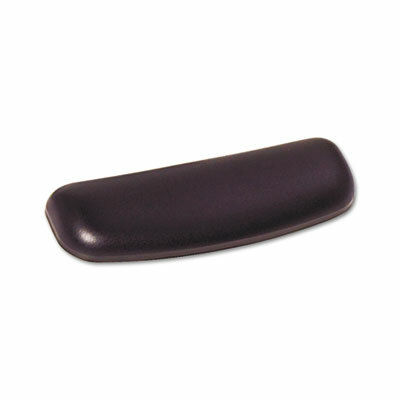 Gel-filled wrist rests are guaranteed not to leak and are puncture-resistant under normal use. Black leatherette cover features antimicrobial product protection which inhibits the growth of microorganisms, such as bacteria, on the product surface, that can cause stains, odors and product degradation.